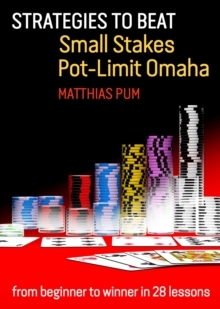 Welcome to the Pot-Limit Omaha boot camp! Are you ready to work hard and study hard? If the answer is yes", then this book will teach you all you need to know to start playing PLO, establish your game at the low-stakes and then move up to the higher limits. You will learn all the key concepts in step-by-step fashion. The material is split into 28 chapters and each chapter topic is discussed in four sections: *The Introduction*The Exercise*The Solutions*The Practice At the end of each chapter there is an overview of the material so you can be absolutely sure that you have understood all the key information.